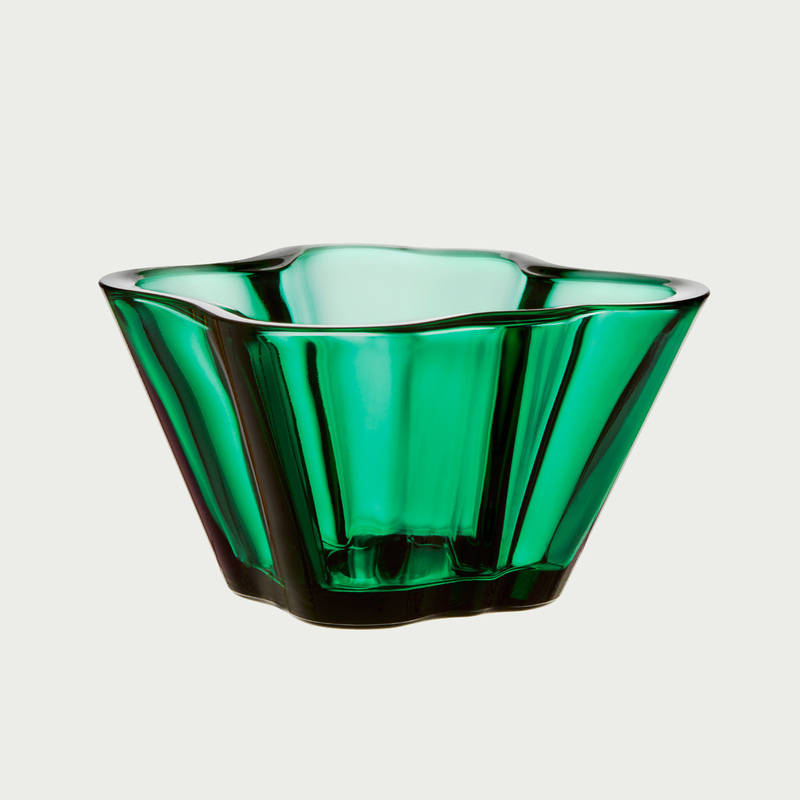 Home > Aalto Trays & Bowls > iittala Aalto Emerald Bowl - 3"
iittala Aalto Emerald Bowl - 3"
A familiar design gets a new look. This small bowl can be used to hold nuts and candies or be used for serving sauces or desserts. It could also hold jewelry, office supplies, and more; just as Alver Aalto wanted the original vase's purpose to be determined by the end user, this art piece has the same versatile functionality. Aalto created the original in 1936 and entered it in the Karhula-Iittala Glass Design Competition, in which it won first place. It was unveiled the following year at the World's Fair in Paris, where its simple and organic shape was received as revolutionary compared to the ornate styles of the time. This modern interpretation of the original proves just how timeless and adaptive it is today. Reviews of iittala Aalto Emerald Bowl - 3"
Questions & Answers for iittala Aalto Emerald Bowl - 3"